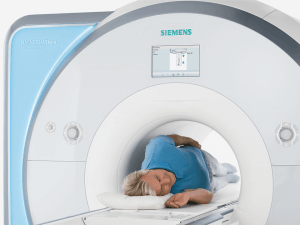 Blackrock Clinic brings Ireland its most advanced MRI scanner in the form of Siemen’s state of the art MAGNETOM Skyra 3T. Working along side our existing high field Siemen’s 1.5T scanner, our MRI department now has greater productivity than ever. The 3 Tesla MRI systems began work in research facilities and have now brought incomparable benefits to the world of diagnostics. 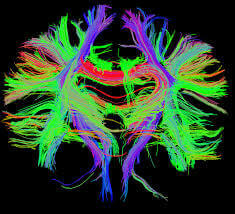 3T is the most advanced magnetic resonance imaging, bringing anatomic detail of exceptional clarity to our clinicians. Tesla is the unit of measurement quantifying the strength of a magnetic field, and 3T is the highest field standard to date. The Magnetom Skyra unit is top of the line, with a wide 70cm drum bore and shorter scan times, so that patient comfort is maximised. It is important to note that there is no risk to the patient with the increased magnetic strength. An MRI image is built using water protons within the body. No radiation is present. All these elements fall in line with Blackrock Clinic’s policy to prioritise safe, effective services for our patients. The 3T system can image most of the human body structure, including brain, spine, musculoskeletal, abdomen and pelvis. The increased clarity and reliability of the images enables our specialist radiologists to better detect abnormalities. This facilitates early diagnosis which allows access to more appropriate treatment paths, resulting in more positive patient outcomes. MR Angiography (MRA) is a type of MRI which can be used to evaluate the entire range of blood vessels. The high quality vascular imaging produced by 3T makes it possible for an MRA to become a substitute for a more invasive procedure performed in the Cath Lab. The 3T system can also be used for multiparametric MR imaging (mpMRI) of the prostate. This is a combination of up to three scans, using an injected contrast agent, resulting in a much clearer impression of the prostate than a traditional scan. The radiologist is able to more accurately identify and triage prostate cancer, putting the Urologist in a better position to make ongoing decisions. As well as prostate, 3T is widely used for cancer staging in other challenging areas such as rectal and abdominal. It has also become a much sought after modality for assessment of cardiac function. The impact of technological advancement in the diagnostic arena has far reaching implications within healthcare. Through continuing investment, Blackrock Clinic is embracing this progress. By collaborating closely with both our in house and referring doctors, we are ensuring that the most relevant systems are available and networked. The best result of this is the value of service we can deliver to our patients.